When is the best time visiting Central Vietnam itinerary? 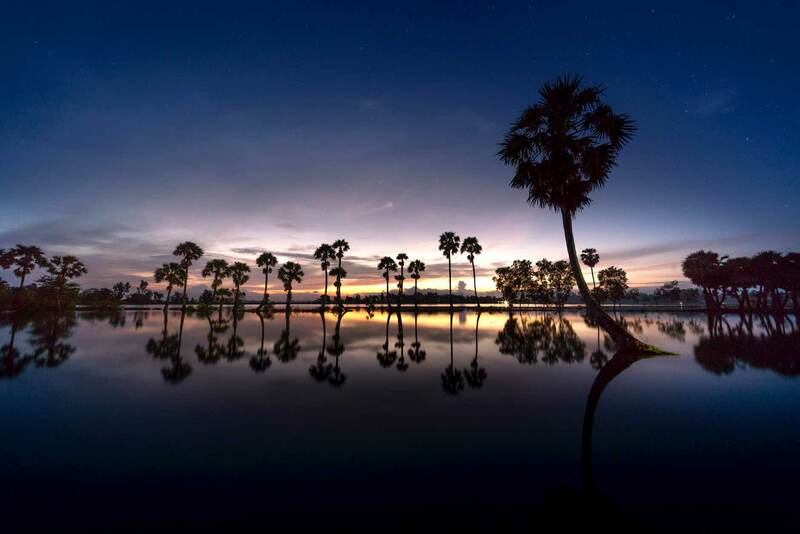 Deciding to visit Central Vietnam, you should pay attention to which place you want to visit and the best time to visit there. 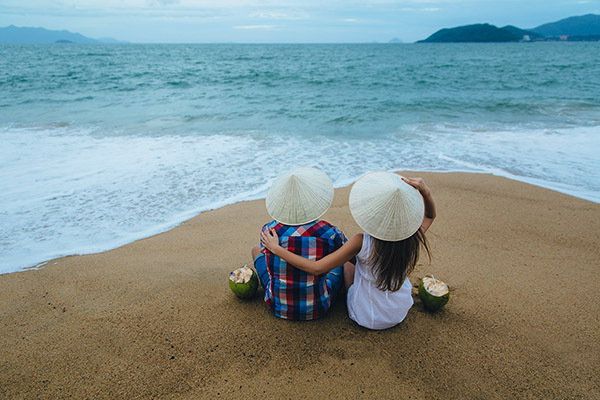 If you choose Danang and Hoi An for your Central Vietnam Itinerary with a long coastal line, you do not worry about the weather because it is warm year-round. Obviously, the high average temperature peaks at 38 Celsius Degrees in July and August while the low average temperature is around 24 Celsius degrees in the winter. However, you should consider about the dry season which lasts from February to late August each year. On the other hand, the rainy season is from October to the end of November with the increase of rainfall level and water level. Occasional typhoons hit during this periods, Danang and Hoi An ancient town may be deep in flood water so that it is inconvenient for your trip. The dynamic city is the third largest city of Vietnam and becomes a nice alternative to the cultural capital of Hanoi City or the economic center of Ho Chi Minh City. 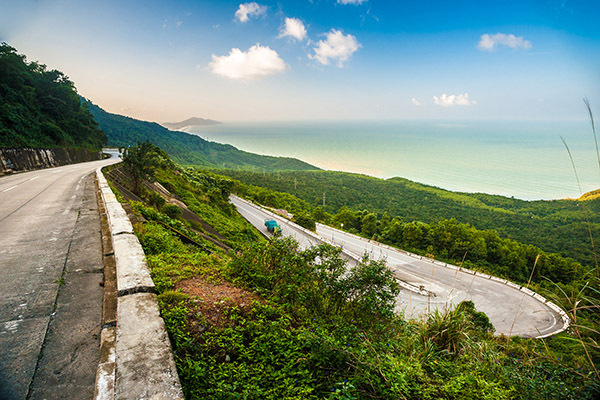 With the geographical advantage, growing between the eastern peaks of the mountain range and the tranquil waters of East Sea, Danang city blends with the natural surroundings. Danang downtown area has changed in recent years and becomes the most tourist-friendly city in Vietnam. Moreover, for those looking a long beach with white sand, Danang offers some of the best beaches in Vietnam. Among that, My Khe beach was voted by the Forbes as one of the most attractive beaches on the planet. You should spend at least 2 days in this city in order to enjoy the most fantastic experience which will bring to you. At the middle region of Vietnam, Da Nang is well served by various means of transportation. Danang has both Domestic airport and international airport, so it is easy to connect visitors from other regions in Vietnam or other nations such as Tokyo (Vietnam Airlines), Siem Reap (Silkair, Vietnam Airlines), Singapore (Silkair; Jetstar), Hong Kong (Dragonair; Hong Kong Express), Seoul (Korean Air). The prices depend on the distance and the airline’s agencies. 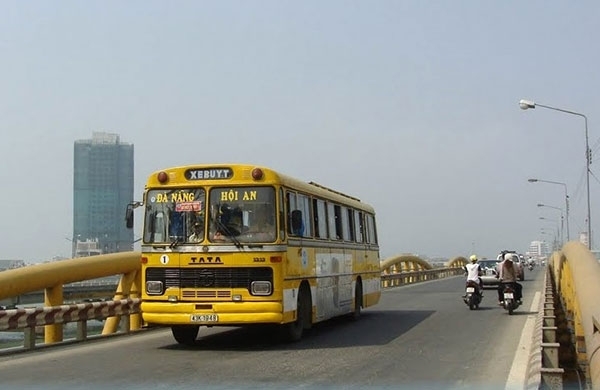 There are many buses in Danang to connect some tourism areas like Hue, Danang and Hoi An, so you can be easy to find the buses to visit Danang. 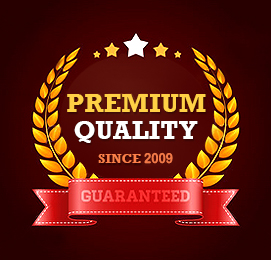 If your itinerary is long, you can choose a sleeping bus or limousine car, they are quite comfortable for you. Danang station is an important stop for a lot of train’s routes every day. From both Hanoi and Ho Chi Minh City, you can be easy to find the train to Danang which are equipped with soft sleeper and air-conditioner. 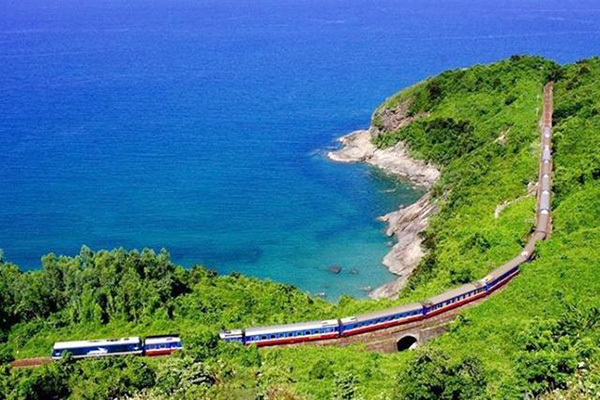 Moreover, when the train moves to Hai Van pass, you will be admired because of the photogenic landscapes. This beach is located about 6 km east of Danang city with the 9 km stretch of smooth sand and the width around 50 – 70 meters. Besides the smooth sand, a slight slope, the beach has coral, creatures and abundant plants along the backside and under the sea. It is obvious that the lack of large waves, the suitable temperature (around 25 Celsius degrees) makes the beach safe for both adults and children to swim. Especially, if you have a chance to look at the beach from above, you will be amazing because of the blue color stretching to the horizon. Moreover, it puts on a new color which is quieter, peaceful, creating a stunning landscape. 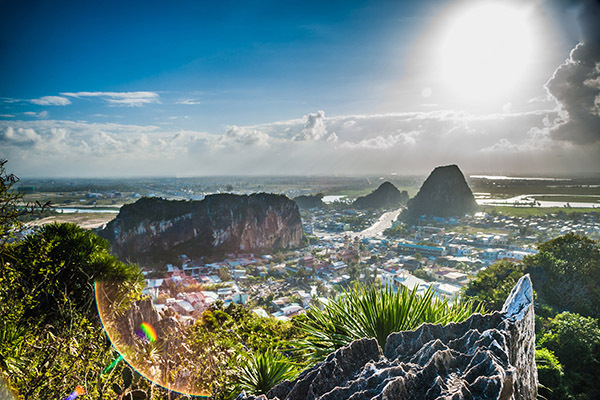 Marble mountains (Ngu Hanh Son) is far about 8 km from Danang city to the southeast. Located on the yellow sandbank with 2 km in length and 800 meters in width, marble mountains are must-visit sites for visitors. As the name, Ngu Hanh Son includes has 5 mountains: Kim Son (Metal Mountain), Tho Son (Earth Mountain), Moc Son (Wood Mountain), Hoa Son (Fire Mountain), Thuy Son (Water Mountain). It is special that the number No.05 is the crucial number in the orient, 5 mountains contain unique senses. On the other hand, Marble mountains are famous for the traditional stone engraving activities with 600 families chisel stone producing statues, jewelry, and artwork. 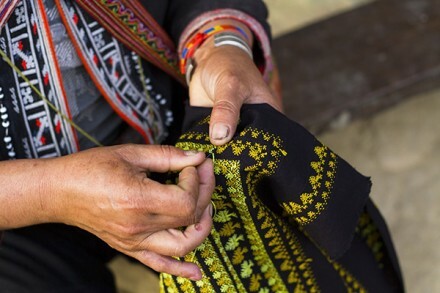 The products from the village are exported to many countries. Bana Hills is in Ninh Hoa, Hoa Vang dist., far 40 km from Danang city center to the southwest and located in Mount Chua. With 1,487 meters in height above the sea level and the cool climate with the average temperature at 20 Celsius degrees around the year, Bana hills is one of the most attractive destinations not only in Da Nang but also in the central region. In particular, recently, Bana Hills is famous for Golden Bridge (Cau Vang) with the majestic mountain scenery from above. 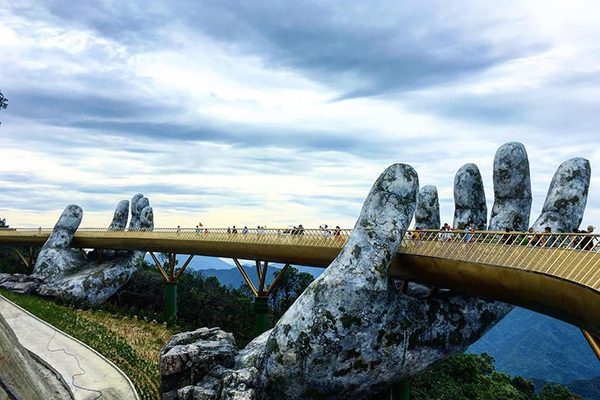 Golden Bridge is a part of the entertainment area from early June 2018 and becomes another reason to explore the ever-popular destination of Danang City. 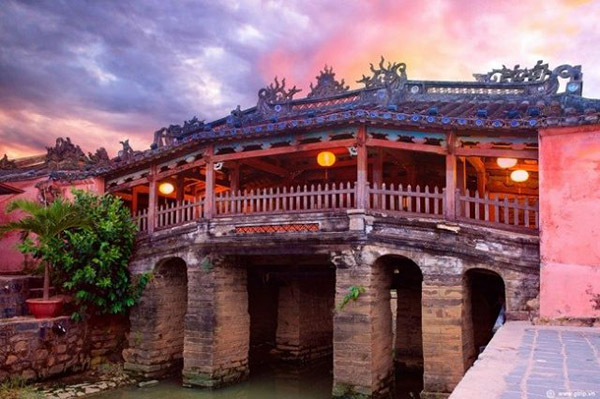 Hoi An ancient town is a famous town in Quang Nam province – the central province of Vietnam. It has been a UNESCO World Heritage Site since 1999, so it’s far from lost to the homogenizing consequences of modernization. Hoi An still stands various constructions of Asian cultures, among these, Japanese Pagoda Bridge and Chinese Phuc Kien Assembly Hall are the most outstanding. In Hoi An, you will be amazed by the culture, the landscapes as well as activities in rural areas or the beautiful beach. In order to experience Hoi An and central Vietnam itinerary, you should stay here at least 3 days. The closest airport to Hoi An is Da Nang International Airport in Danang City and far about 30 km from Hoi An downtown. You can refer the information above. All most visitors choosing bus come from Hue or Danang. The buses are quite popular and convenient for them to Hoi An. Bus stop and bus station are quite close to the ancient town, so you just go for a walk a few minutes to the downtown. If you use the train for your mean of transportation, you will reach Danang train station and then take a private car or public vehicles in order to travel to Hoi An. You will spend about 45 minutes from there. 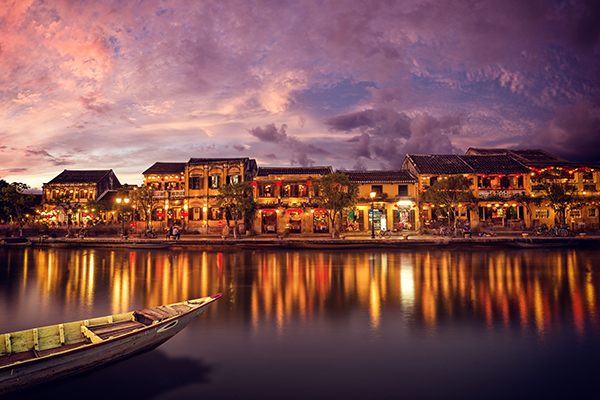 Visiting Hoi An walking street, discover the historical sites. Bicycle around the countryside – the rice fields. You will have a good time to cycle through rice fields, learn how the local made some local food or handicrafts like lanterns. There are some famous villages like Kim Bong Carpentry village making boats, Duy Vinh sleeping mat village making rice paper. 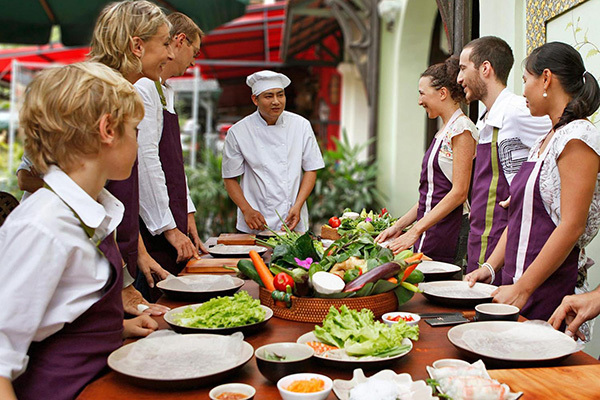 During your time in Hoi An, you can enjoy the delicious Vietnamese cuisine and want to know how to cook it, so that joining a cooking class is the best choice for you. In the cooking class, you will participate in some activities like shopping ingredients at the local market, prepare the raw material, learn how to use the ingredient, cook the dish by yourself. 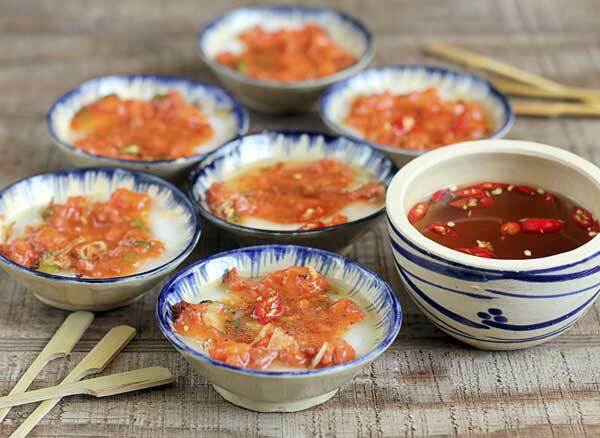 Many visitors vote Hoi An is the tastiest city in Vietnam as well as the world. 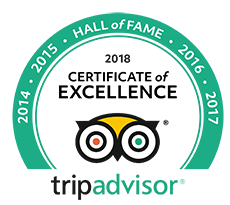 It is obvious that it keeps people tuned to its cuisine ranging from mouth-watering street food to 5-star fabulous feast. 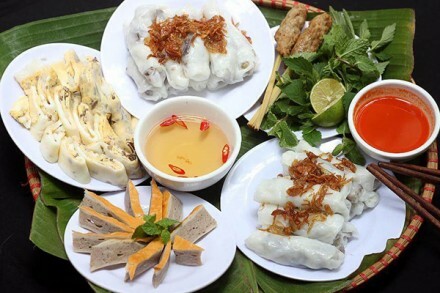 So that if you want to look for the authentic foods in your central Vietnam itinerary, Hoi An is an ideal stop for you. 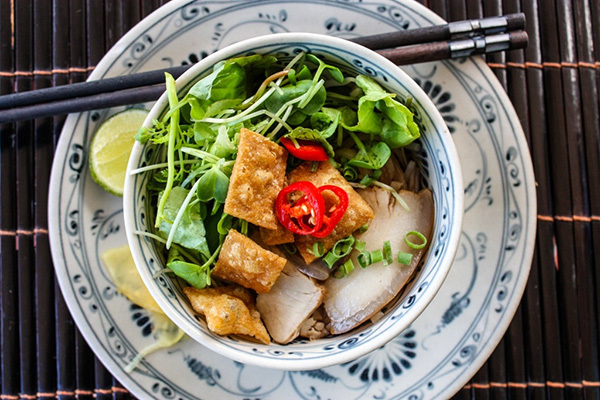 Here are the top must-try dishes when visiting Hoi An. 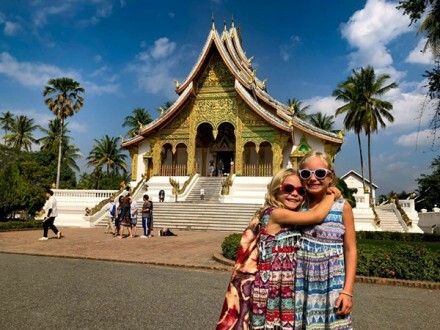 Danang and Hoi An are the best choices in your central Vietnam itinerary 5 days. If you want to make your dream about it, please contact us for the free information and itinerary. 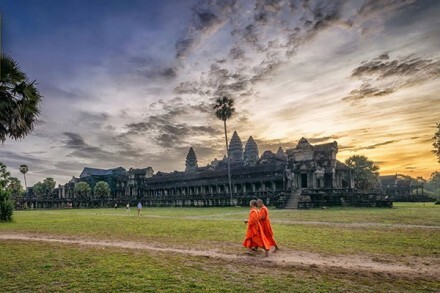 What Are the Best Central Vietnam Tours? I concur with you. This blog is such a significant number of excellent and phenomenal creative energy and Posts . Incredible Post continue sharing all the more such Posts .